Asked what she wanted to be when she grew up, Lara would reply, "Something creative...oh and something scientific...and kind of medical....I think I want to help people in a fun way." Fast forward to 2007 and after years as an architectural lighting designer hunched over a computer, Lara found Pilates as a way to aid her niggling back. It was a lightbulb moment! Pilates was what she had been trying to describe all those years ago. 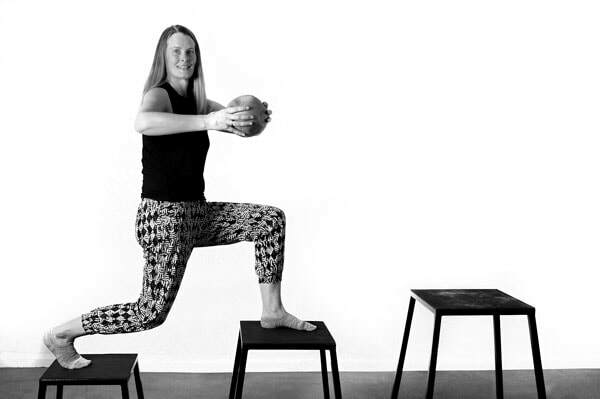 Lara trained through Stott Pilates and Breathe Education and holds Allied Health and Fitness qualifications. ​Don't be fooled by her soft manner, she can easily switch from gentle mobilisation mode to "let's get moving" mode. She is a Gemini after all! Little known fact about Lara: She is obsessed with France and all things French. She lived there four separate times within six years.